York, PA. – While an unlikely partnership to many, Matthew Metz, a Six Sigma Deployment Champion and Energy Coordinator for SKF, recently earned honors for his work in employing the scientific processes and lean 6 sigma techniques of manufacturing in private practice medicine at York-based Partners in Family Health. 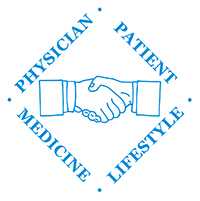 The partnership was created through Aligning Forces for Quality – South Central PA’s (AF4Q-SCPA) Patient-Centered Medical Home Collaborative, which brings together practices and business coaches to focus on key performance measures. Metz led the team to increased efficiencies, patient care improvements and better health outcomes. SKF, a Hanover-based manufacturer of bearings and products related to seals and lubrication, honored his accomplishments with a trip to Slottsviken, Sweden, during which Metz received the company’s prestigious Excellence Award on April 19. Determining that many diabetic patients were not receiving eye examinations on an annual basis. The staff added this as a new measurement criterion and devised a way to ensure compliance. Calling patients after they were discharged from the hospital or an Emergency Department visit and gathering all of their medical record updates in advanced of appointments at Partners in Family Health. Identifying and correcting 24 of 32 waste-reduction items to increase efficiencies related to practice management and care delivery. Employing the Kanban System, a manufacturing supply chain process, to manage medical supply inventories. The practice now saves time and money by knowing exactly when to order supplies. Implementing 5S methodology, which looks at organizing for efficiency, to restructure the medical supply closet so staff members don’t waste time looking for supplies. To learn more about Aligning Forces for Quality – South Central PA and the Patient-Centered Home Collaborative, visit www.aligning4healthpa.org. AF4Q-SCPA is an initiative of Healthy York County Coalition (HYCC) supported through the Robert Wood Johnson Foundation. HYCC has worked to bring together stakeholders from across the community and to unite them in health and wellness efforts since 1994. AF4Q-SCPA was created in 2007, and is a unique collaboration of York and Adams Counties’ leaders working to improve the quality of health care. The I Can! Challenge, a 12-week challenge is a program developed by AF4Q-SCPA to give people the direction and support for improving their health. For more important information on AF4Q-SCPA, visit www.aligning4healthpa.org.